How Far is Patel Smondo? Patel Smondo is a magnificent residential enclave of trendsetting apartments in the most sought after residential hub of Gachibowli, Hyderabad. It is an abode of modish apartments which are thoughtfully crafted by Patel Realty. It offers you with apartments at a fair market price and ensures you a comfortable and hassle-free lifestyle. These apartments in Pune are combined with modern amenities and lavish designs. The project is under development stage and offers you with 2BHK apartments with a dimension of 990 sq. ft. and 2.5BHK with a size range of 1120 sq. ft. as well as spacious 3BHK apartments for sale in Hyderabad with a dimension of 1400 sq. ft. which are well-ventilated and have a soft flow of sunlight. 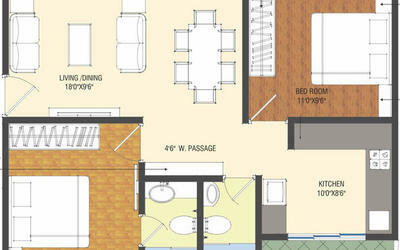 The apartments are thoughtfully crafted keeping you in mind, to provide you with a house of your choice. It has a perfect combination of elegant interiors and exteriors and is suitable for a contemporary lifestyle. Patel Smondo offers you, your ideal home at an affordable price. It has easy access to schools, hospitals, and transport facilities with many shopping centers in the vicinity. The project consists of all the necessities that a home seeker would search for, hence it is a perfect housing solution. Balconies and terraces with anti-skid ceramic flooring. Patel Realty is a renowned real estate company in Mumbai. It is a wholly owned subsidiary of the Patel Engineering Group. Its parent group ‘Patel Engineering’ (BSE: PATENG) is a sixty-year-old firm with a global presence in infrastructure, power, and tunneling. It is known and trusted for its marvelous projects and unmatched quality in the real estate industry. 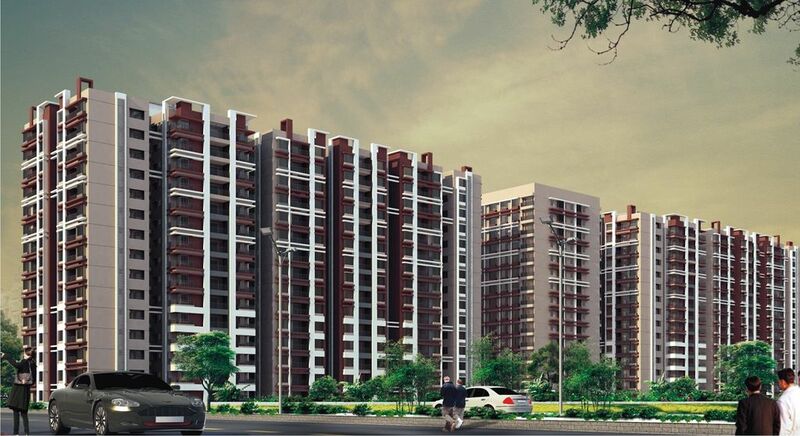 Their projects are comprised of Patel Smondo which is located in Gachibowli and it offers you thoughtfully crafted 2BHK, 2.5BHK as well as 2.5BHK apartments for sale in a prime location of Gachibowli, Hyderabad. The founder of the group is Shri Pravin Bhai Patel who established two objectives for the company's future: to sustain steady growth by increasing its revenue annually but to remain responsible corporate citizens. Maintaining a good reputation in the industry and providing people with more than what is expected. The hard work and long hours expended in those early years have paid off as the business thrived and as projects grew progressively larger and more complex. Our vision is to bring a paradigm shift in real estate industry by setting new standards and pace of Service, Quality, Innovation, and Affordability and while doing so, creating Value for Customers, Investors, Vendors, and Employees. Formed in 2007, Patel Realty's principal mandate is to acquire, develop and program real estate assets located in major urban environments where real estate demands have increased sharply due to lifestyle changes amongst all the age group segments of the population. This increased demand, together with the real estate expertise from Patel Realty principals, defines the vision and the roadmap for the company's future. Patel Realty has and will continue to pursue residential, commercial, IT Park, SEZ, Retail, Entertainment, Hospitality, Waterfront Developments and mixed-use transactions based on these principles - always with an eye on strong community relations and integrity.